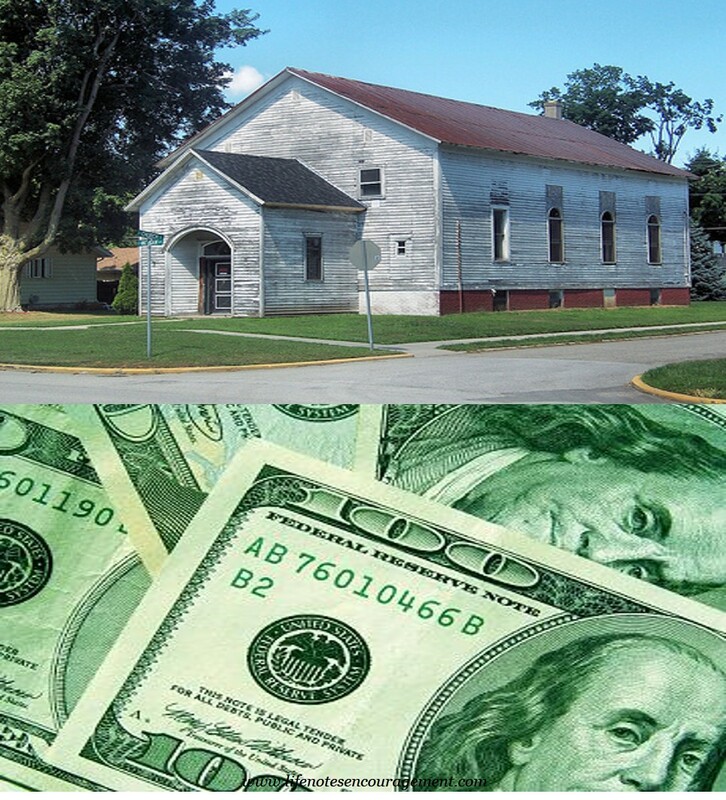 Giving to a church has gotten a bad rap in most Christian circles. Too many feel uncomfortable giving to a church so they just don't give. Instead, many hold on to their portion. mentioned just before giving commences. My first exposure to the principles and theology around giving back to God happened many years ago when I was still a teenager at our regular Friday night Youth Group Meeting. I don't remember why we were discussing this topic but I do remember one young man's testimony around giving which had a lasting impact on me. He was a young immigrant, relatively new to the country and attending college. He didn't have much in the way of finances but he felt convicted to give of the little he had consistently and he had seen in his life that lacked so much materially how he was always provided for. He stressed that he did not give because of what he got in return but because He wanted to. His demeanor was one of exuberance and contentment as he shared his story. There is a joy in giving back to God even if we don't always understand how it works. That young man's joy was contagious because He recognized that without the God of the universe in his life he would have absolutely nothing. God again is always the best exemplar. He first gave His only son for us (John 3:16). This was a generous, sacrificial act of Someone who meant the most to Him, for us. For you know the grace of our Lord Jesus Christ, that though He was rich, yet for your sakes He became poor, that you through His poverty might become rich…Thanks be to God for His indescribable gift!" (2 Corinthians 8:9, 9:15). This is a great place to start when we think about giving our tithes and offerings to God. God gave an indescribable gift for us so that we, in turn, could express our thanks to Him. The young man gave heartily and with joy based on scriptures that supported giving. As this verse says, "Each one must give as he has decided in his heart, not reluctantly or under compulsion, for God loves a cheerful giver" (2 Cor. 9:7). The word "cheerful" in Greek is hilarios where we get our word "hilarity." Taken literally, God loves hilarious givers! Where there's hilarity there is joy. What Does the Bible Say about Tithes and offerings? Stewardship - How does it fit in? Won't you join me? What are your thoughts on giving to your local church? PS - please subscribe so that you don't miss any of this series. From a young age, I watched my parents give their tithes and offerings and so it just became something that I did as well. It didn't matter what it was, $1.00 - I had to set a side my 10% + offering. And it has stuck with me to this day. God's house doesn't run for free. Looking forward to this series! Our parents would've have been friends! a great topic that many shy away from and don't bother "elucidating" (: on. thankfully, our church is very open on the topic and lists the up's and down's weekly in the bulletin - I was raised w/ a French's mustard jar - several of them - set on the window sill of my bedroom where we placed the tithe, the savings, the camp money and the spending out of our tiny allowance. Great early training from my mom. I love how excited and joyful he was, Nylse. I've also seen how God has always blessed my sacrificial giving and it is clear that He loves a joyful heart. Blessings to you as you kick off this new series!